The finalists for the Third Sector Awards have been announced to honour the most notable leaders of the not-for-profit sector. The finalists for the Third Sector Awards have been announced, celebrating Australia’s most notable executive leaders and decision-makers in the sector. The awards are an opportunity for leaders and volunteers to demonstrate leadership and innovation within their organisation and the community. They were judged based on their social impact, outcomes, collaboration and leadership. Katherine Raskob, CEO of the Fundraising Institute of Australia and one of the judges, said: “The best candidates demonstrated significant areas of innovation within their organisation and were the ones who stood out. The awards, put together in partnership with Centre for Social Impact, judged sector leaders on Emerging Leader of the Year, CEO of the Year, Board Director of the Year, Volunteer of the Year, Social Entrepreneur of the Year, Campaign/Marketing Executive of the Year, Young Leader of the Year and Influencer of the Year. Each of the winners from the group of finalists will be awarded in recognition of the significant impact they have made either as individuals or as part of an organisation. 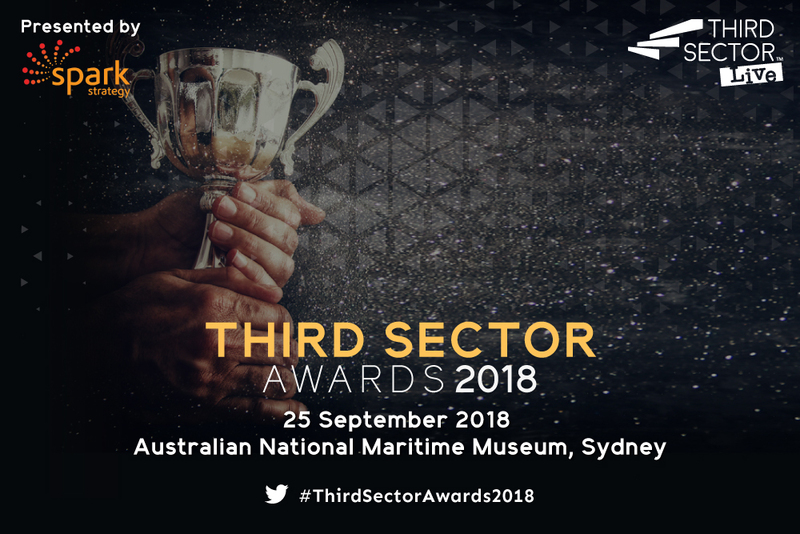 The awards night is part of the upcoming Third Sector Live, the conference that brings together sector leaders in a unique opportunity for Australia’s not-for-profits. Attendees will hear from industry leaders about the role of the third sector, including the Commissioner of the Australian Charities and Not-for-profits Commission, Gary Johns. Other speakers include Shadow Minister for Charities and Not-for-profits, Andrew Leigh, and CEO of National Aids Trust UK, Deborah Gold. Winners will be announced on the Awards Night on September 25. Now only one thing remain – Join us for the gala dinner and support your peers! Click here for tickets. Third Sector is a dynamic and trusted source of news and opinion for the not-for-profit and charity sector. Owned by Akolade, Third Sector delivers high-level content focusing on what NFP leaders need to know to accelerate both their career and the organisations they run.